Information and videos on using the grid in 3ds Max for Source Engine Level Design. Some information on finding and troubleshooting leaks. Overview of setting up a scene in 3ds Max to render out as a 2D sky for your level with Sky Writer. Explanation on making a 3D Skybox in 3ds Max with Wall Worm. Getting started with your level with the intent of building both a 2D sky and 3D Skybox. 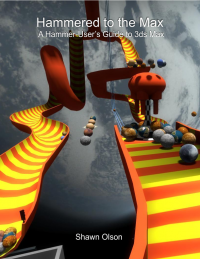 Series on making your 2D Sky and 3D Skybox in 3ds Max for the Source Engine. Tutorial and example scene on making a material that has reflectivity that matches the transparency in 3ds Max. Instructions on creating a WorldVertexTransition material inside 3ds Max using Blend Materials. 3ds Max files showing how to do various tasks in Wall Worm. Review of Wall Worm development in 2013. Setting up a Phong material for Source using Wall Worm.